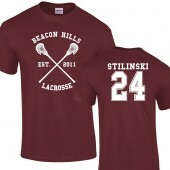 Beacon Hills crossed lacrosse sticks printed onto a soft style T-Shirt. 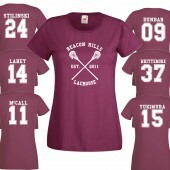 All our shirts are printe.. Funny slogan printed onto a heavy cotton hoodie. All our garments are printed in the UK and made .. Funny slogan printed onto a heavy cotton sweatshirt. All our garments are printed in the UK and m..